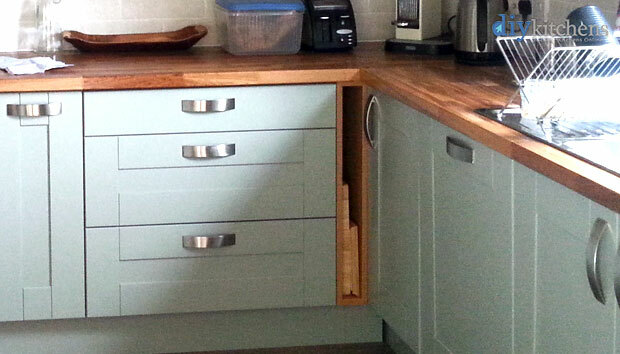 Home » Customer Questions » What is a tray space unit? What is a tray space unit? 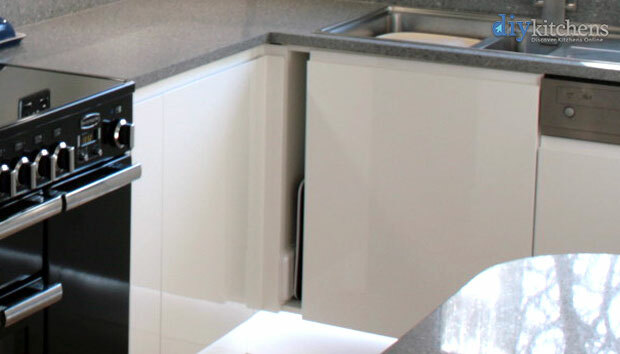 Well, an open tray space unit only measures 10cm in width and it is used to fill in small gaps in kitchen runs with this practical little unit. 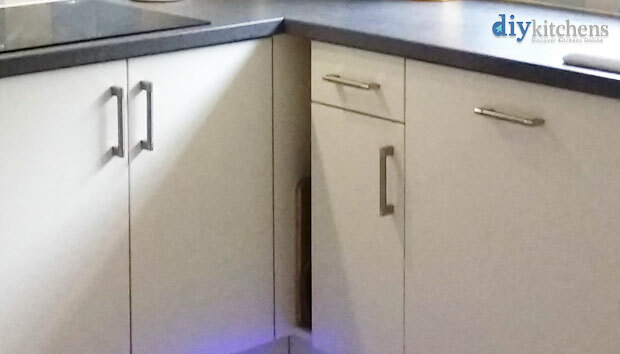 In order to fit the tray space unit, you just slide it into position, like you would do any other unit and connect it to the units either side with the supplied unit connecting bolts. The leg bosses the legs slot into for these units are supplied but not fitted as standard, so you can position them on the base of the unit wherever you want them to be. The tray space unit is intended to be lined up with the other units in the kitchen run. 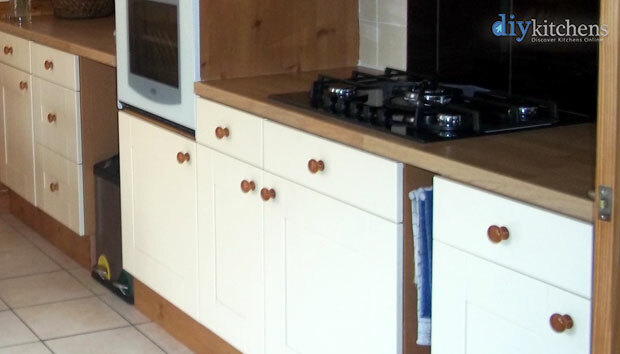 If you would prefer it to line up with the doors in your kitchen then there is nothing stopping you from doing this. 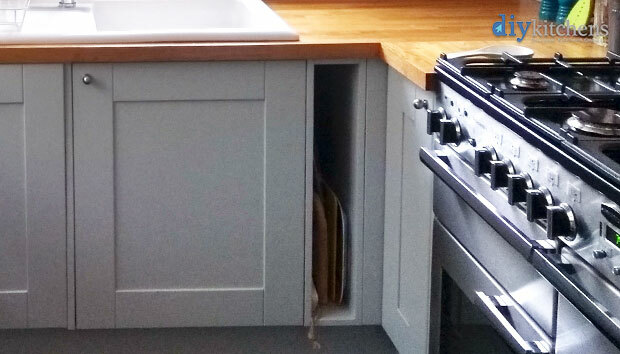 One consideration to make is that the units have a coloured matt finish to them and if you have a gloss door next to the carcase then you would notice this. 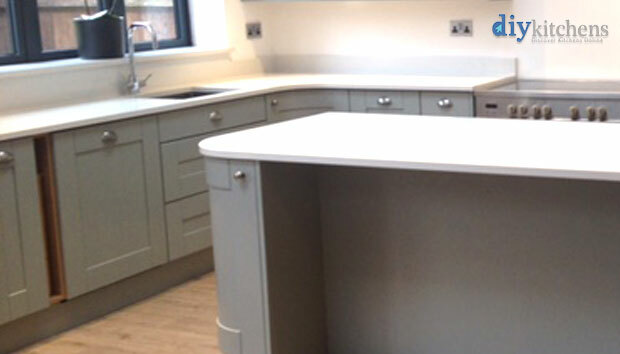 But, if you have a smooth painted shaker kitchen in light grey for example, and our light grey carcase then the unit would blend in pretty well against the door. 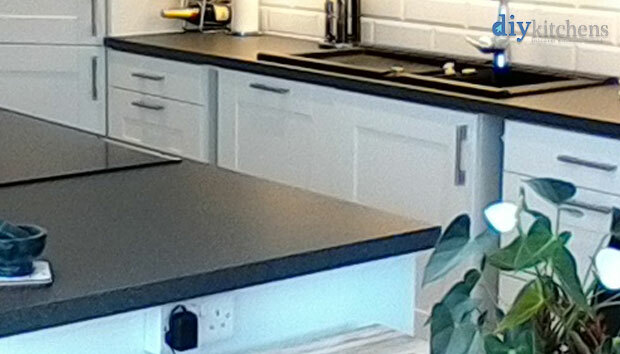 When installing your kitchen just place the tray space unit next to the adjacent one and see what you think looks best. At the end of the day, it’s your kitchen and if you like what you are doing, then go for it! 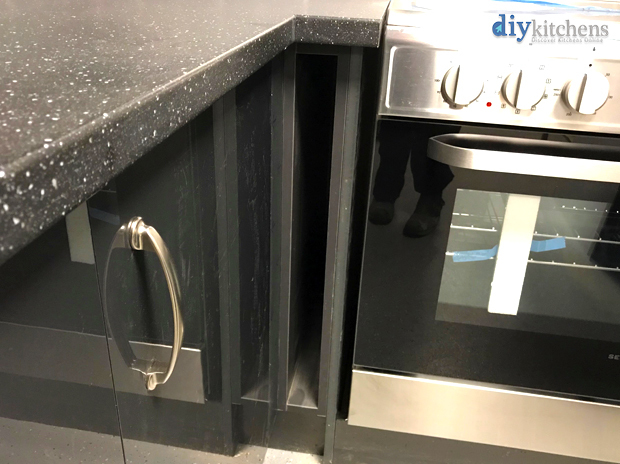 One point to remember is that if you place a tray space unit, in-line with the doors of a handleless profile kitchen like our Luca range then you will break the run of the J profile handleless grove that runs across the top of all the doors and it may look a little strange. 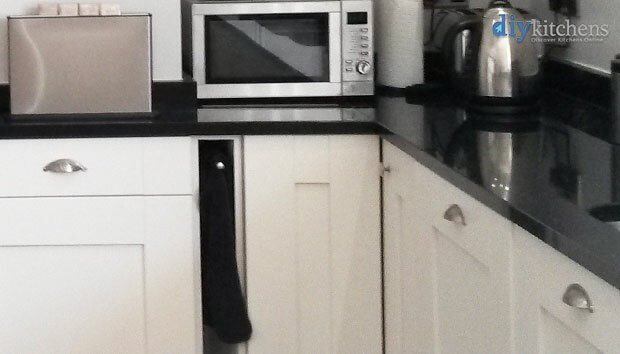 Tray space unit or corner post? 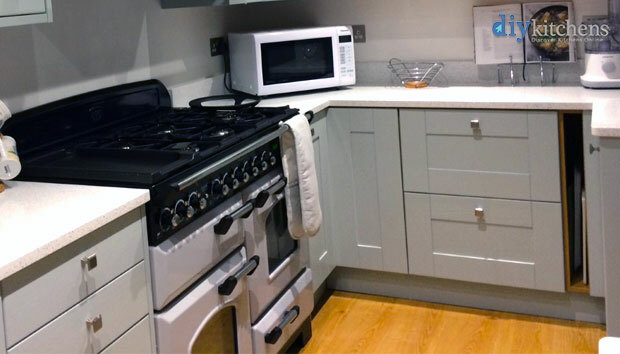 Some people who have very little space left in their kitchen for a corner post or just need to fill in a few additional centimetres, place a tray space unit on one side, where the corner post would normally be. 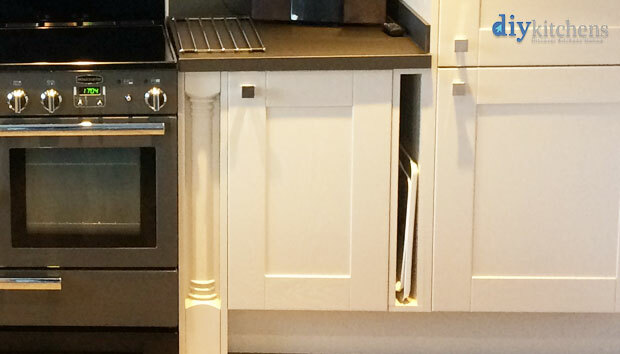 We would normally recommend using a corner post to ensure that handles do not clash but if you do it properly then you can get a tray space unit to fit in there just nicely and the unit will utilise the space that would normally be dead space that a corner post would take up. Just another thing to consider, if you are at a loose end and struggling for ideas. 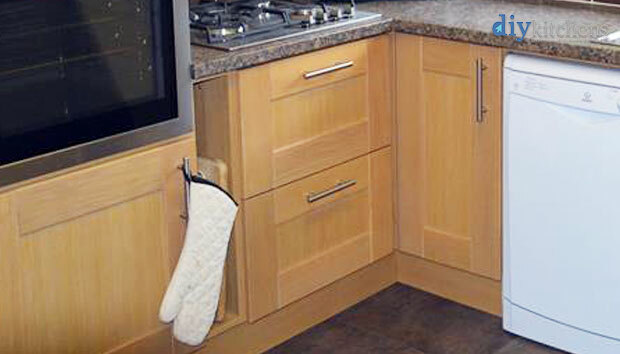 Below are a few pictures to show you a tray space unit being used instead of a corner post. Some people do add rails into tray space units for tea towels etc., but do not sell these rails though. 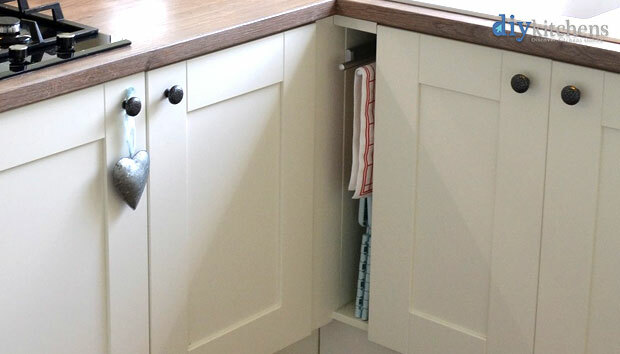 If you are going to fit a mechanism in these tray space units then you will need to do this before you install the unit in your kitchen as it can get pretty fiddly. 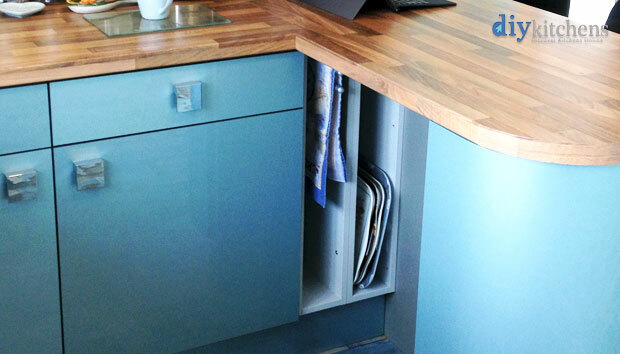 Here are some more examples of tray space units fitted in some of our customers’ kitchens. 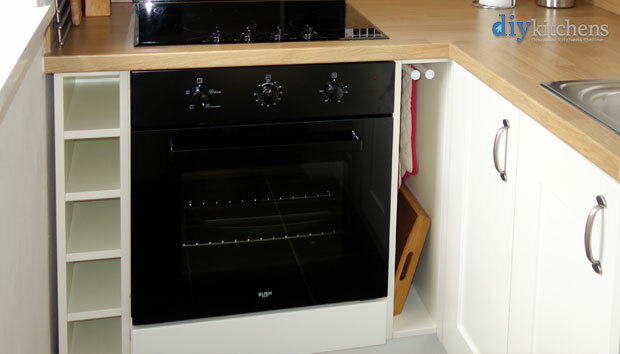 You can see the open tray space unit on our website here. 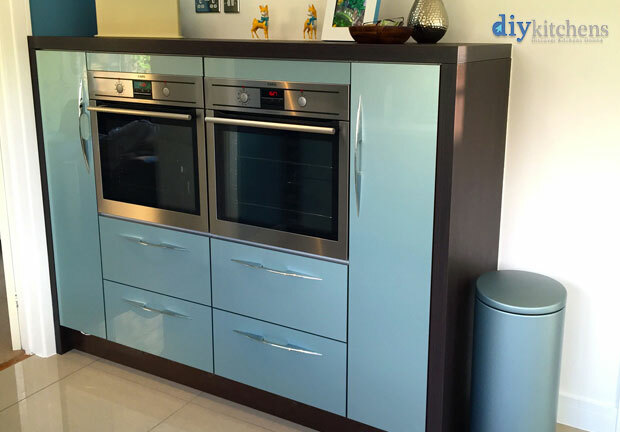 What is a 1250mm high base unit? 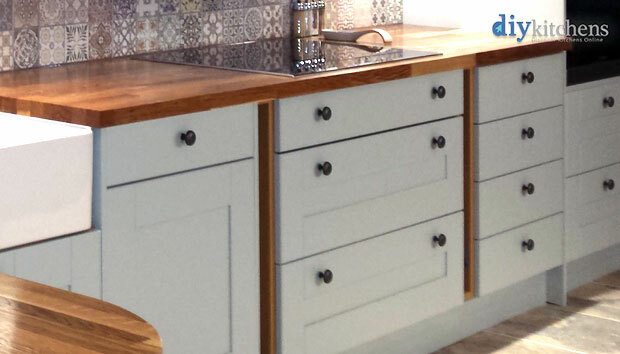 What is a worktop dresser unit?